This is a food event for everyone. 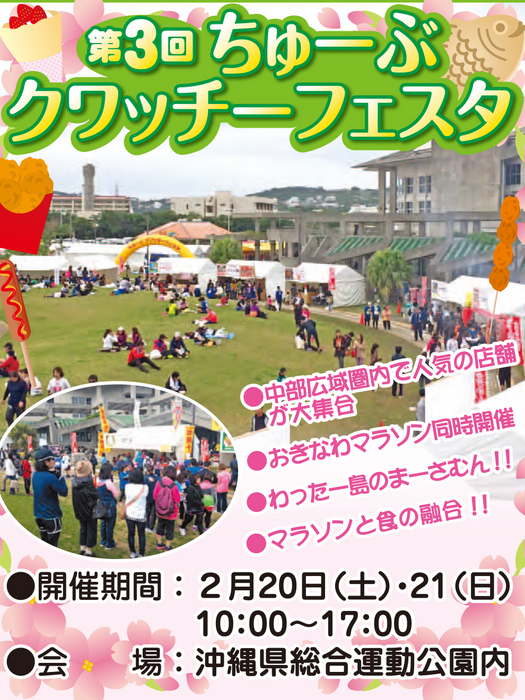 Originally created for Okinawa Marathon participants and supporters, the festival takes place at Okinawa Comprehensive Athletic Park, the start/finish point for the marathon held on Sunday, Feb. 21. There will be nine popular restaurants and shops from nine different municipalities in the central area of Okinawa offering their delicious specialties. 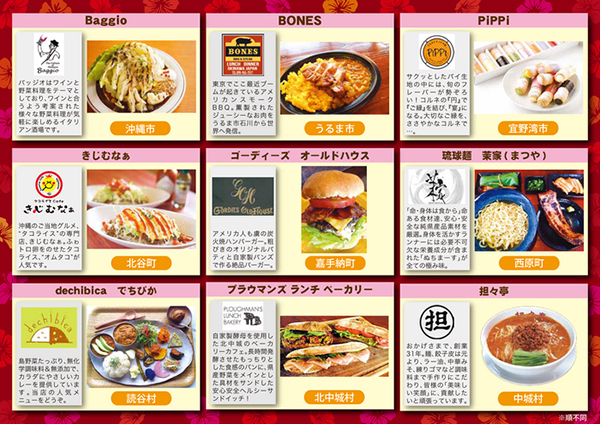 Including hamburgers, curry, Okinawa soba, ramen, taco rice and sweets, all items are very affordably priced.